Fiverr is a place for people to share things they’re willing to do for $5. To get the $5, you either sell or buy. To sell, you create a gig for a small service you are willing to offer; share your gig with the world; you will be notified when your gig is ordered, and be asked to accept it. Fiverr will credit your Fiverr balance with $4, 48 hrs after you successfully deliver your work. You withdraw your earnings to your PayPal (according to the terms of service). To buy, you find a gig you like and order it; pay $5 by PayPal or credit card; track your seller’s work progress, exchange files and communicate; get your finished work; you will have 48 hrs after work delivery to ask for fixes from the seller and then provide feedback and review. Before we get ahead, please note, the first 10 fiverr alternatives are not Nigerian oriented. If you think you can use them effectively as a Nigerian, then go ahead. If you can’t, then make great use of the remaining alternatives after the first 10. You will be glad you did. And if you are not a Nigerian reading this, you should make use of the first ten fiverr alternatives. So, How Do I Make Money through Them? Simple. 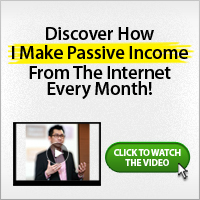 You can make money through all the sites listed above starting today. Just make sure you have something good to offer; get those who need what you have to offer; pitch your offer have to them and when they need it, you get paid for meeting their needs. Though it is possible to start making money immediately but I won’t advise you to use that as your final decision. There are so many people on these sites that needs what you can offer. There are also many people on these sites that can offer what you too can offer. In short, you have serious competition but you can break through if you provide excellent and unique service. Thank you for this information but I will stick with Fiverr. I am presently looking for the fast selling Gigs on Fiverr. Anyway, thanks for sharing, you have a wonderful blog that I envy a lot.